I am very, very excited to announce that my blog will be proudly featuring Ronlyn Domingue, right around the time the second book of The Keeper of Tales series- entitled The Chronicles of Secret Riven-will be released, which will be May 20, 2014 (only a handful of weeks from now). 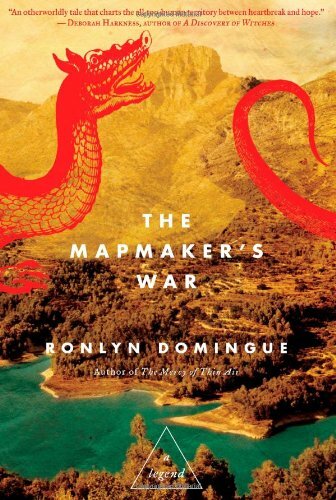 About two weeks ago, I wrote a rather effusive, detailed review of the first book of this series: The Mapmaker’s War. 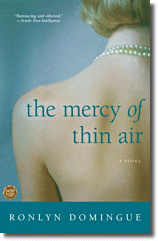 That book was mystifying, engrossing, and so impacting of a read for someone like me. If you are interested in reading my extensive review of this fine book, you can check it out right here. Less than a week ago, I announced that my blog would be extending its reach to Youtube, and that was when I unveiled a video, where I briefed all my devoted blog readers on all the details about this exciting new feature and potential writers to feature on this series. As you know, Ronyln Domingue was one of the authors mentioned on this video (posted above this paragraph). 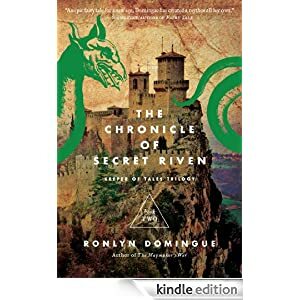 Ronlyn Domingue was very receptive to my invitation, and I am so happy to say that she will be our first guest, only a mere seven or so days after the release of The Chronicles of Secret Riven. Right now, I have already created the event page for the Hangout, which will be held through Google Plus Hangouts on Air live at 8pm Eastern on Thursday,May 27, 2014. All details about the event can be found on the newly created event page for this forthcoming event! Everyone is invited, even if you have not had the chance yet to read any of Ronlyn’s fantastic books! More information about Ronlyn Domingue’s books and published works of short fiction can be found on her author website! Hope to see many of my devoted blog readers on May 27th with a handful of thoughtful questions for Ronylyn Domingue!! Thanks to both Ronlyn Domingue and Atria Books for making this upcoming chat a possibility! !